A straight forward traditional look. 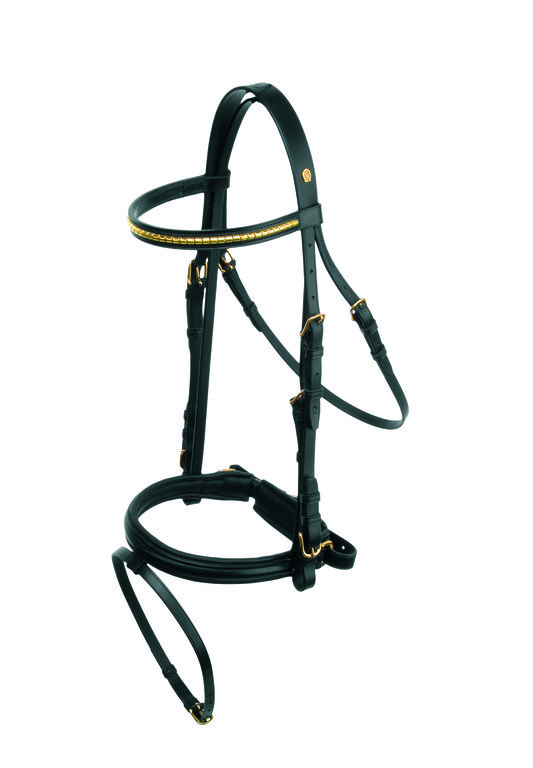 This bridle impresses through its reserved, understated look and its massive fittings are a really special feature. -Cheek pieces 16mm with buckles.